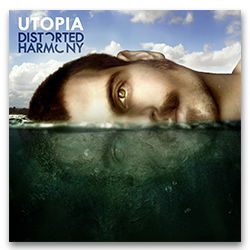 Released digitally on may 14th (2012), “Utopia” – in just a short period of time, has won praise and respect worldwide for it’s highly complex and intense arrangements, its virtuosic musicianship, and its ability to captivate the listener. During 2012-2013, the band performed in some of the best venues in israel including uprogfest 2012″ festival. Released two official videos including a highly praised cover for muse’s “the small print” and was nominated for the “limelight” (best new band) award in the prestigious “progressive music awards 2013” competition which is held by the british “prog” magazine. Growing and evolving, the band entered the studio in august 2013 and started working on their second album “Chain Reaction”; a darker and heavier album, ” with a more mature and coherent songwriting. ——·—~ The variant music influences of each member have been carefully balanced and woven into the compositions. It is the concept that started it all – umake a change”. This entry was posted in News and tagged 2014, distorted harmony, new album. Bookmark the permalink.